The group leading protests against deposed president Omar al Bashir is calling for the transitional military council, which has taken power, to be disbanded and replaced by an interim civilian ruling council. Sudan's ruling military council says it has fired the country's top prosecutor days after the armed forces ousted autocratic president Omar al Bashir. Tuesday's statement by the council says its head, General Abdel Fattah Burhan, dismissed general prosecutor Omar Abdel Salam and two of his aids. 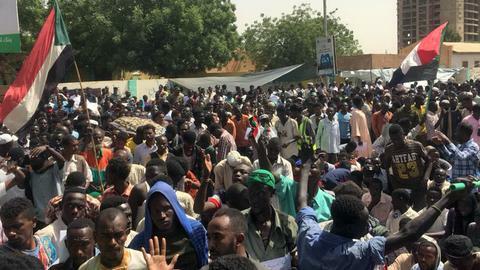 The Sudanese Professionals Association (SPA), which has spearheaded protests in the country, has called for the dismissal of all top judges and prosecutors among a package of demands. Those include the prosecution of those behind the military coup in 1989, the dissolution of all pro-government unions and a freeze on the assets of top officials in Bashir's government. However, organisers fear the army is seeking to hijack the revolution on the streets, which saw Bashir's three-decade reign toppled on Thursday after four months of nationwide demonstrations. 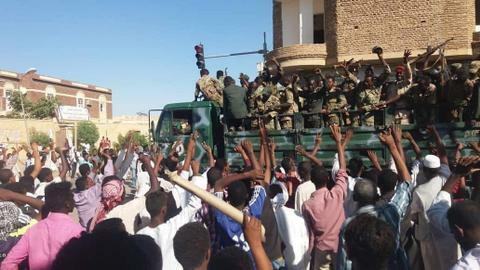 On Monday, activists accused commanders of launching an abortive attempt to clear the sit-in outside army headquarters, ending the relative calm that has reigned since Bashir's overthrow. Activists voiced fears that the army would make a new attempt on Tuesday. Several vehicles carrying paramilitary forces deployed on a bridge that connects the protest site with north Khartoum, a witness said. "The army will try to make another attempt to disperse the protesters because it is under huge pressure," said protester Ahmed Najdih. "But we are not going anywhere. We will not lose our patience. We know what happened in Egypt and we don't want that to happen to us." In neighbouring Egypt, the so-called Arab Spring revolution of 2011 toppled veteran president Hosni Mubarak and replaced him with elected Mohammed Morsi only for him to be overthrown in 2013 by then army chief, now President Abdel Fattah el Sisi. Protest leaders have gradually toughened their approach towards the transitional military council, as policy announcements from its uniformed officers have multiplied. 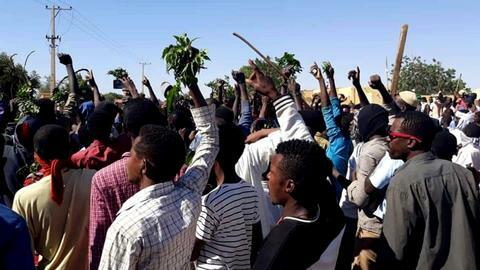 Amid widespread anger at the number of faces from the old regime, the protesters secured the replacement of its first chairman, a longtime Bashir loyalist after just 24 hours last week. But the honeymoon of his successor, General Burhan, lasted just days. As weekend talks on the transition failed to make headway, protest leaders who initially demanded a "swift" handover to civilian rule, began demanding first an "immediate" handover then the military council's dissolution. "We want the military council to be dissolved and be replaced by a civilian council having representatives of the army," said Mohamed Naji, a senior leader of the SPA. Opposition politician Mubarak al Fadil says demonstrators want to make sure the old regime is completely uprooted from the government. Both sides in the stand-off have sought to woo international support. The protesters have highlighted their sacrifices in murals painted outside army headquarters of some of the more than 60 of their comrades killed in clashes with the security forces. The military council has pledged that individuals implicated in killing protesters would be held to account and that demonstrators detained under a state of emergency imposed by the president during his final weeks in power would be freed. It has held briefings with Western diplomats and sent an envoy to the African Union's headquarters in the Ethiopian capital Addis Ababa before meeting in Sudan on Monday. The foreign ministry said the military council was "committed to having a complete civilian government" and urged foreign governments to back it in order to achieve "the Sudanese goal of democratic transition." The council said Sudan would continue to provide ground troops to a Saudi-led coalition fighting Houthi rebels in Yemen. Sudan has taken heavy losses in the unpopular war but grew heavily dependent in the last years of Bashir's rule on credit from the oil-rich Gulf Arab states to prop up the collapsing economy. In a bid to woo Western opinion, the military council has also backtracked on its position towards longstanding warrants for Bashir's arrest issued by the International Criminal Court in The Hague on charges of war crimes, crimes against humanity and genocide. Having initially refused to deliver Bashir or any other Sudanese abroad for prosecution, a member of the council said on Monday that the decision would be up to a civilian government. 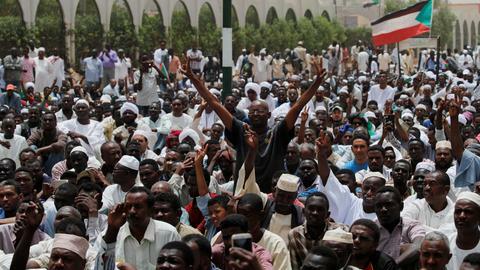 Protest leaders say Bashir must face justice, along with officials from his feared National Intelligence and Security Service whose chief Salih Ghosh resigned on Saturday.